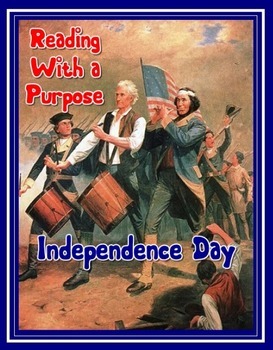 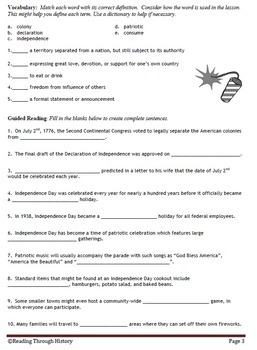 This is a stand alone Independence Day activity for students. 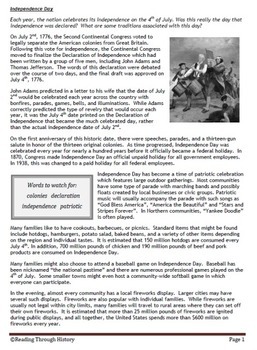 It includes an informative reading focused on the history of Independence Day and the activities surrounding the celebration. 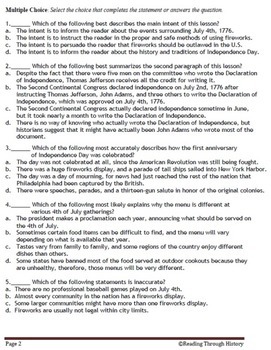 The reading is followed by three pages of multiple choice reading comprehension questions, vocabulary activities, guided reading activities, student summaries, and a student response essay question to accompany the materials.